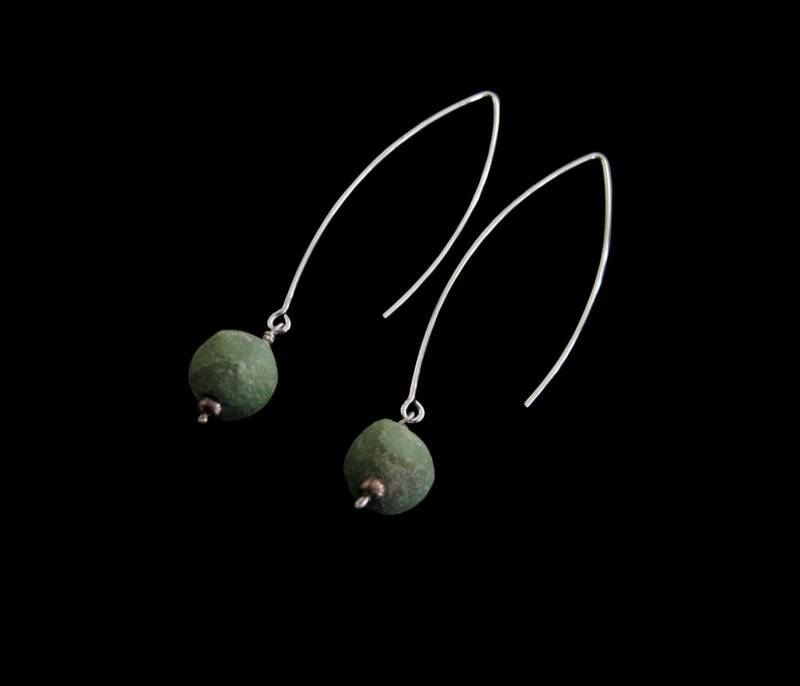 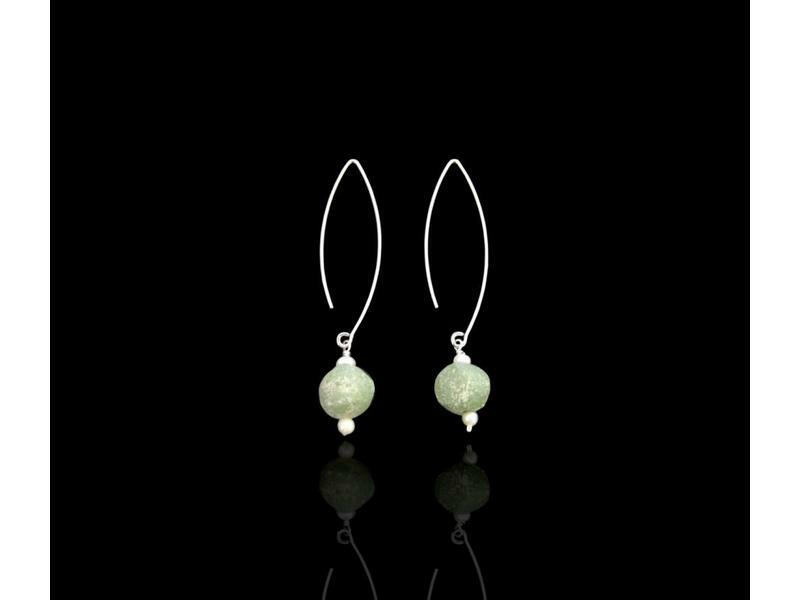 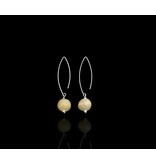 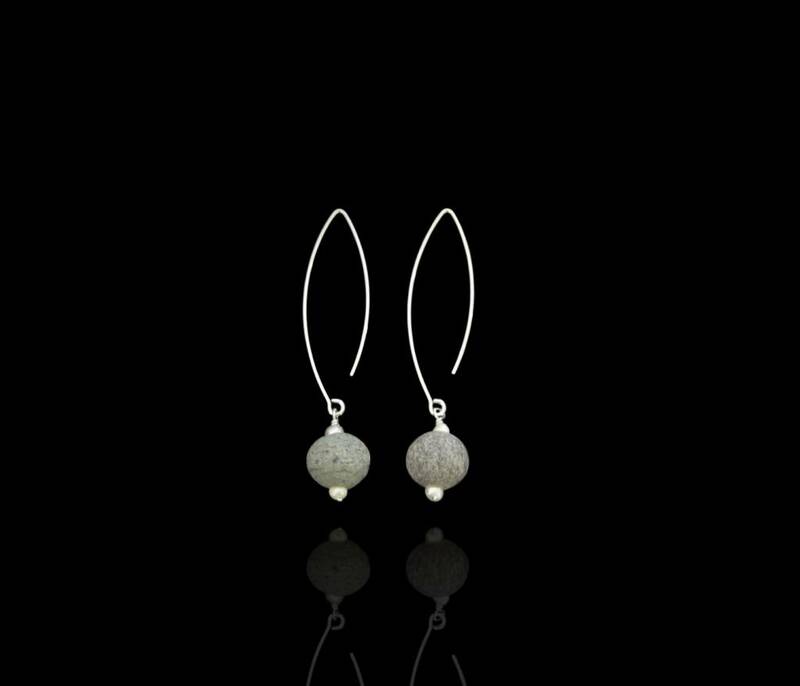 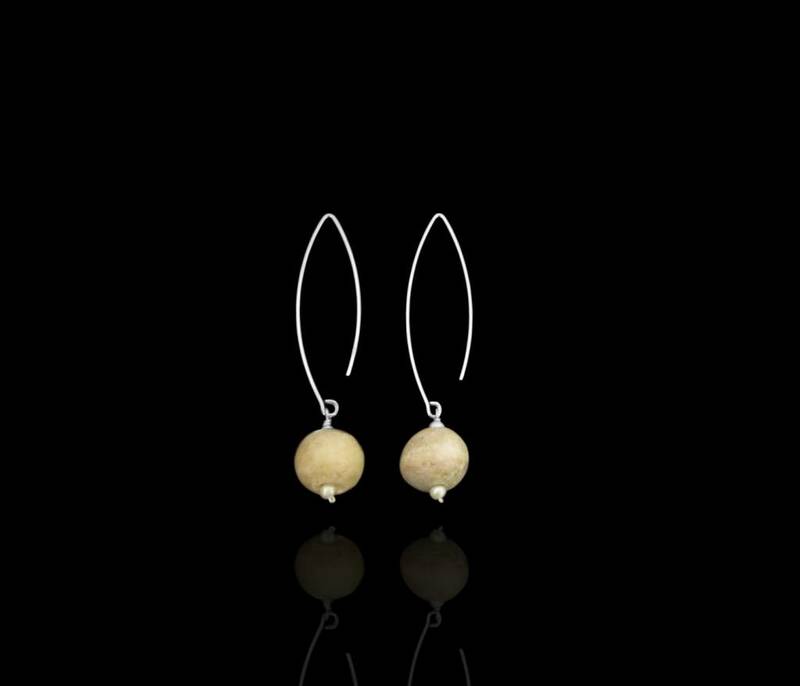 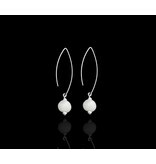 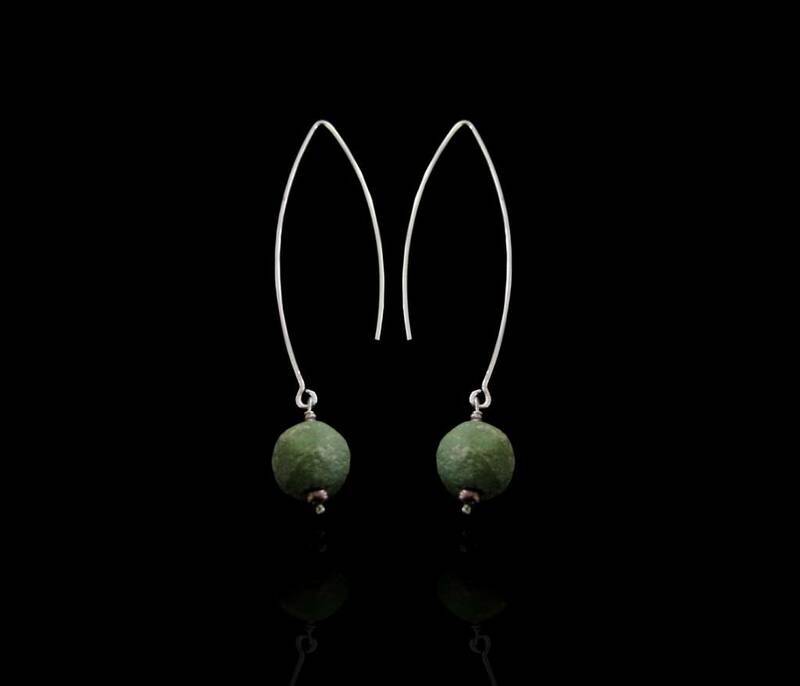 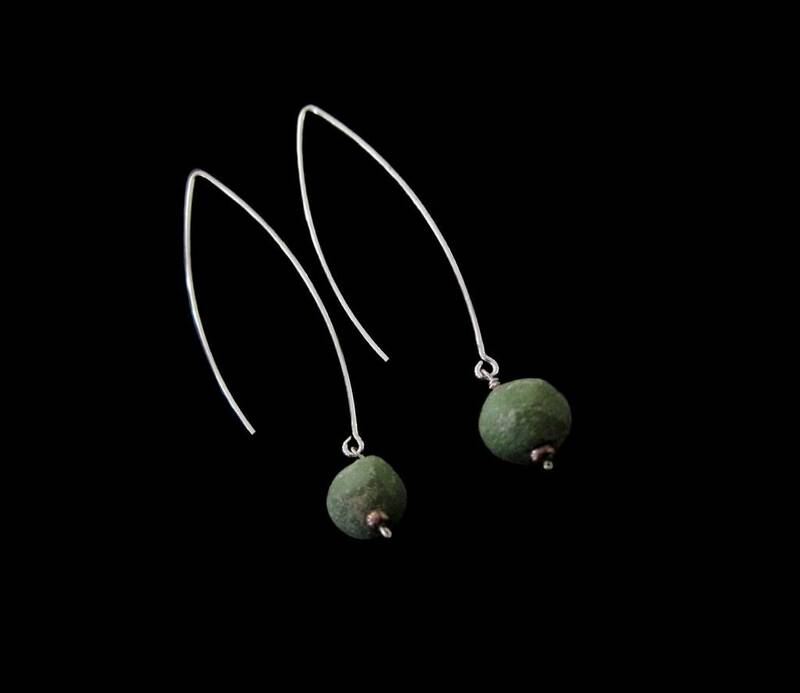 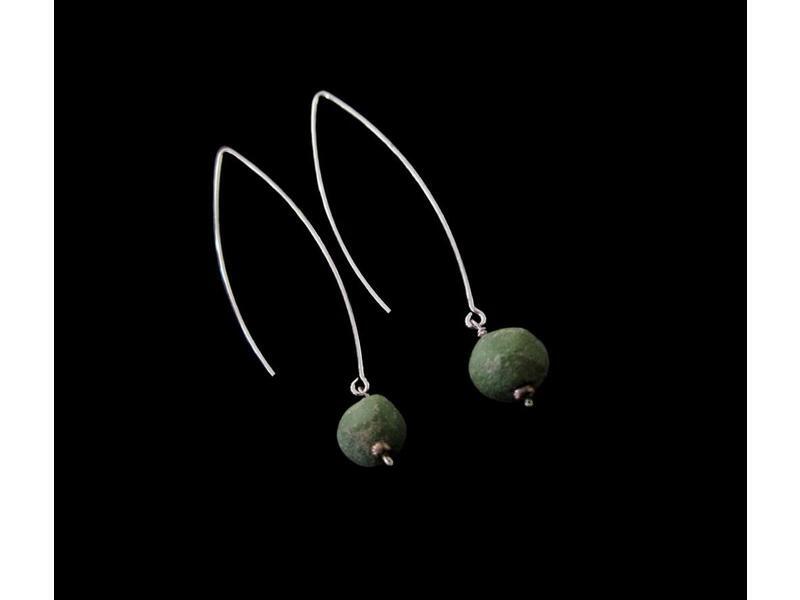 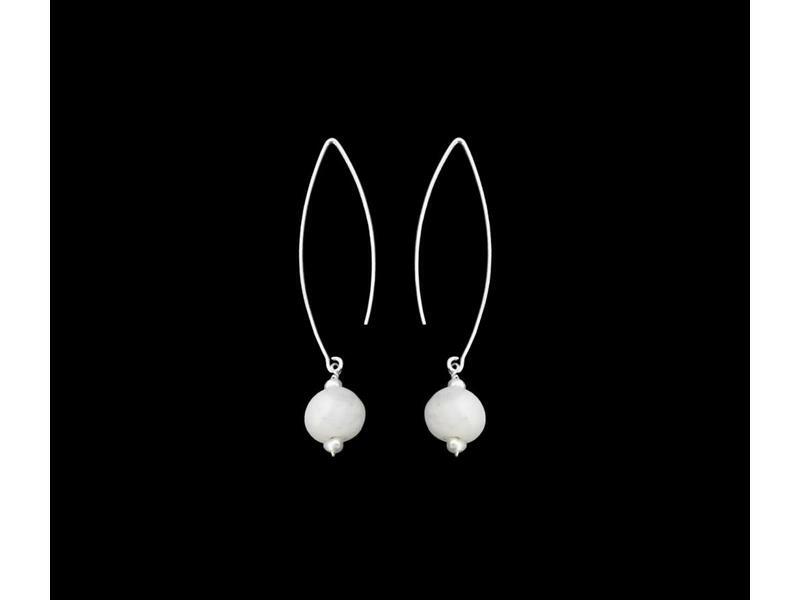 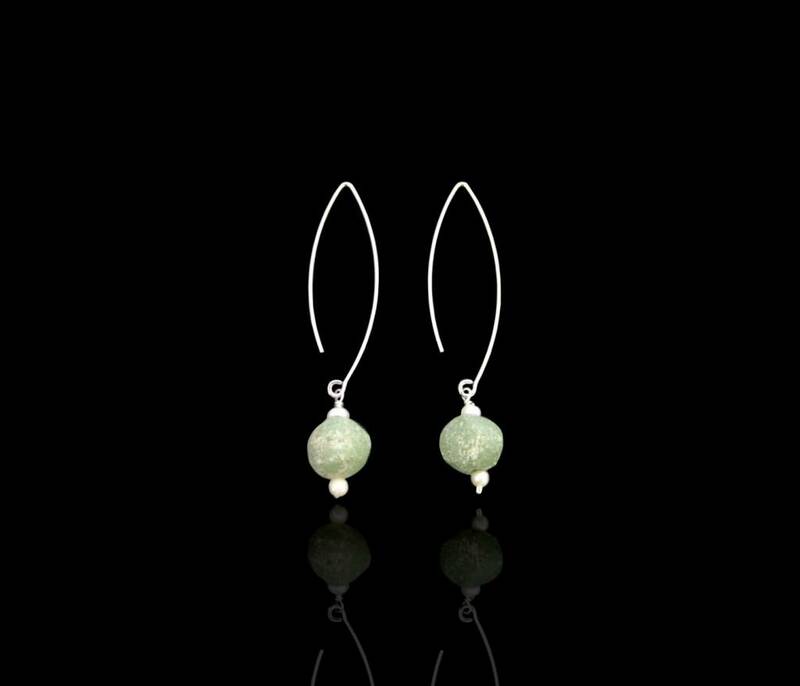 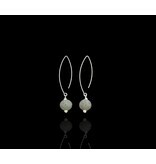 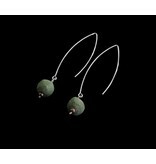 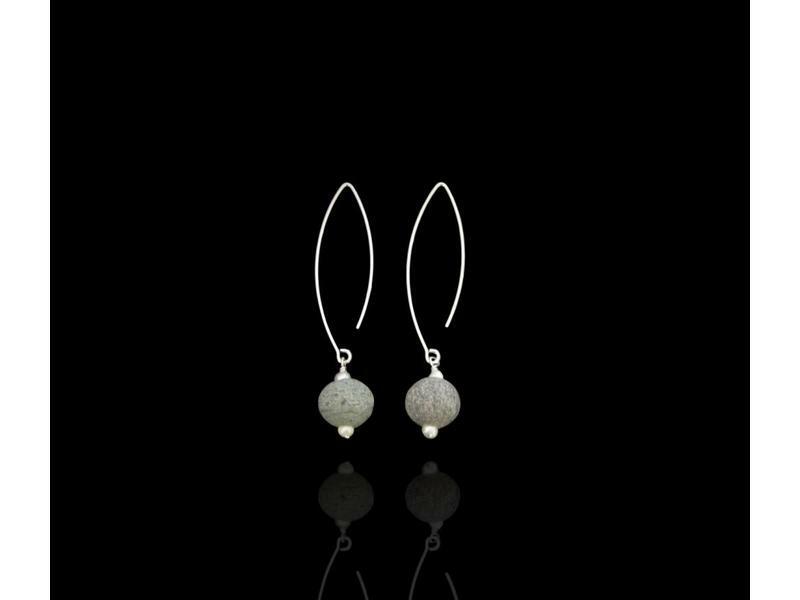 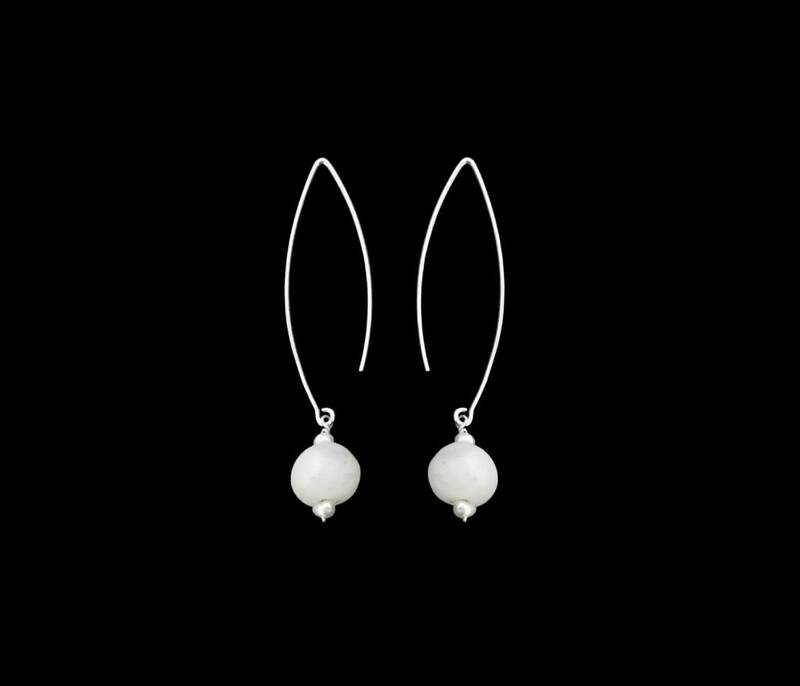 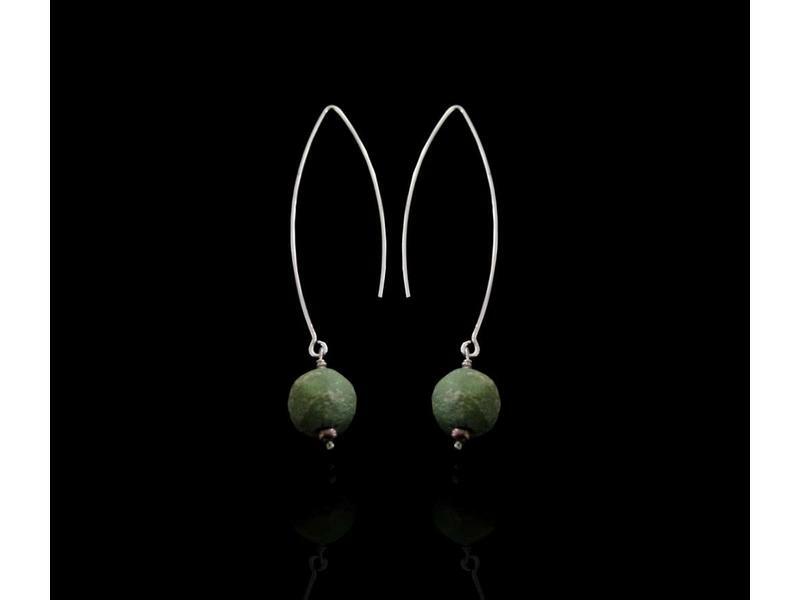 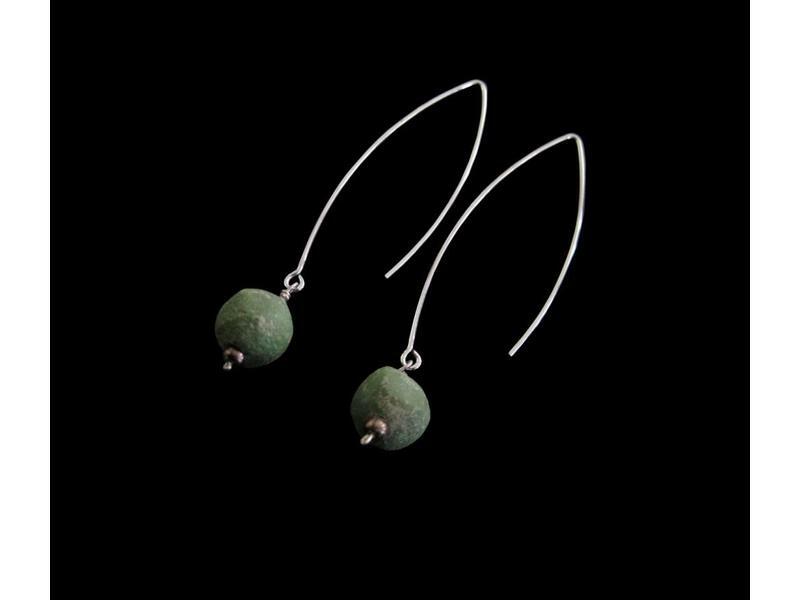 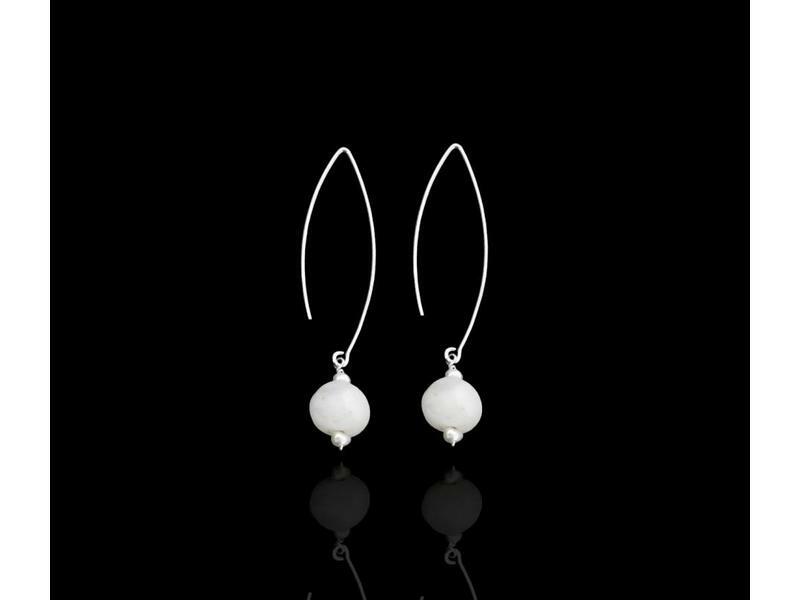 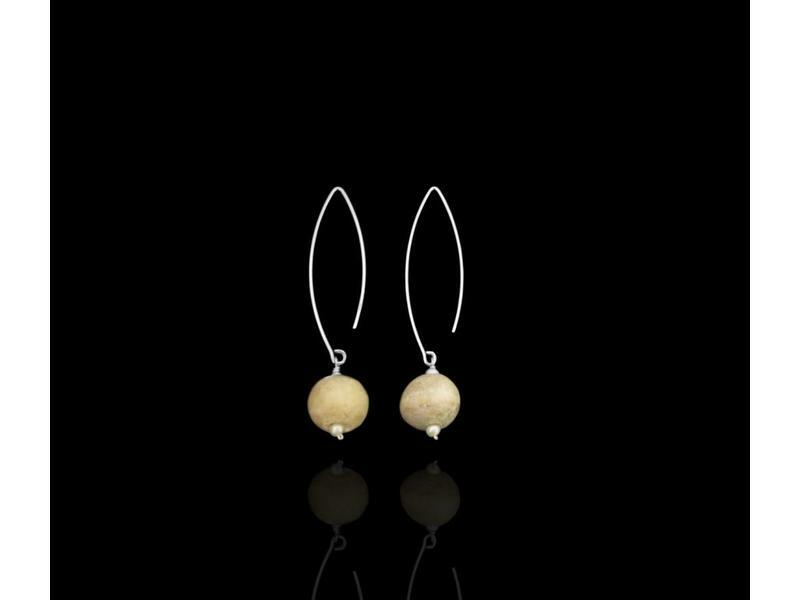 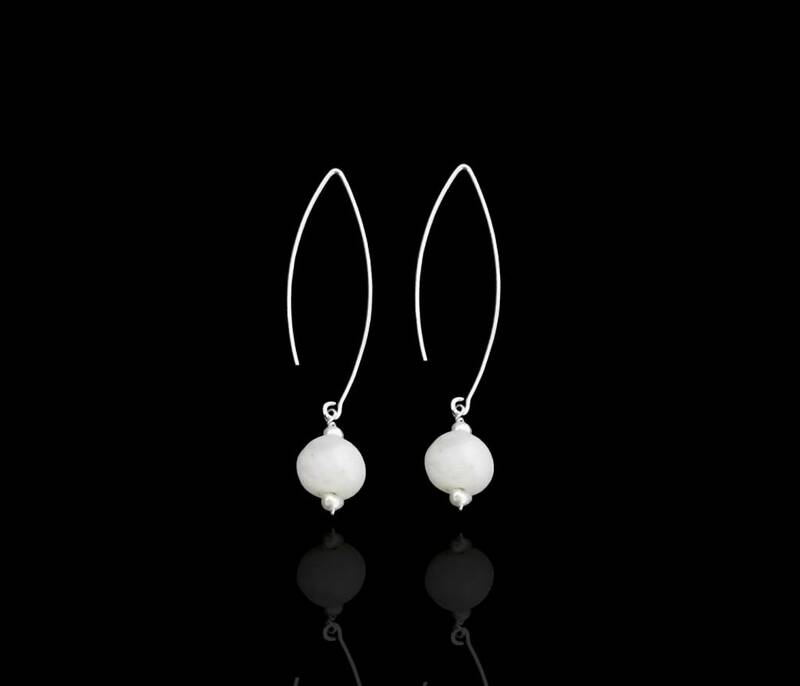 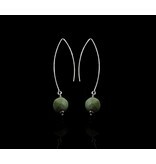 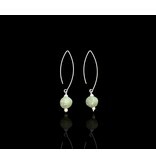 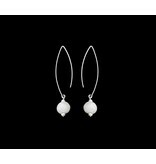 Long oval silver earring with a Kunouz stone from the Jordanian desert. 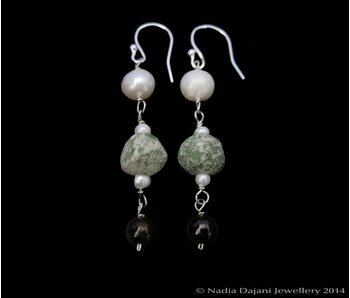 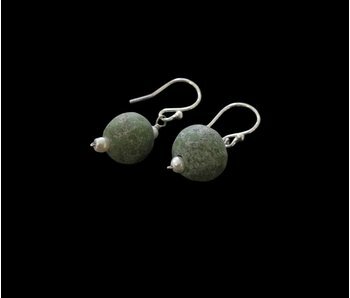 Incorporating stones such as Malachite, Alabaster and Granite from the desert of Southern Jordan, which are individually hand shaped by a cooperative of ladies in the village of Qadisiya, just north of Petra. 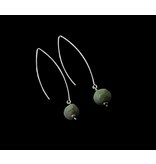 Supported by the South Company for Construction and Development, a company mandated by HM King Abdullah II to develop long term sustainable socio-economic projects in the south of the Kingdom, and creating job opportunities to the local communities.